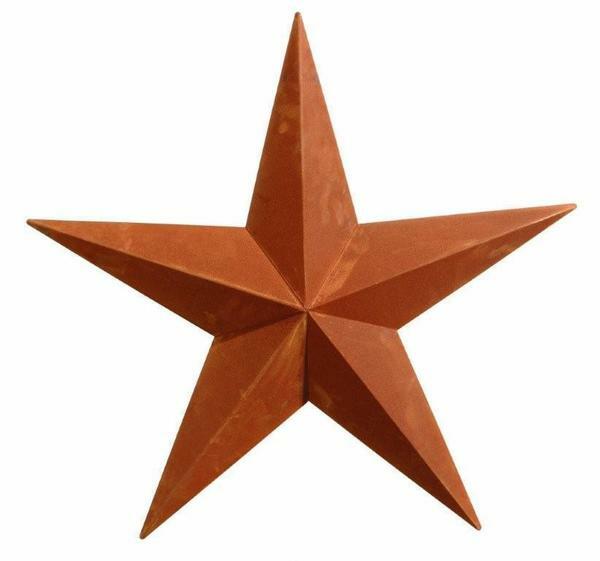 Rustic decor is unique and warm with a brand new 10" Rusty Amish Barn Star. Perfect for sheds, barns or the side or front of the house, our barn stars are a popular item to display and to give as gifts. Burnt orange color that blends well with exterior colors. This barn star requires minor assembly. Shop DutchCrafters for unique outdoor decor ideas.